::: Elmoro4Life.com ::: Isam B and artists at The Eid Charity Extravaganza! Isam B and artists at The Eid Charity Extravaganza! 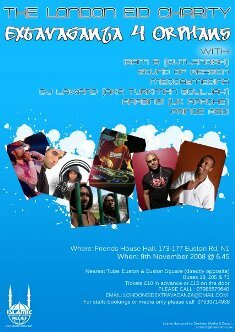 Spend an AMAZING night with Isam B, Sound Of Reason, Mecca2medina, DJ LAWAND (aka Turkman Souljah), Arabingi (formerly UK Apache), Prince Abdi..